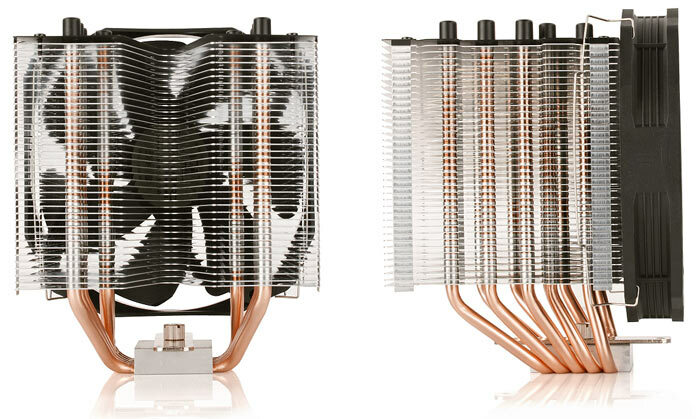 Polish PC chassis, power and cooling specialist SilentiumPC has launched a new CPU air cooler. The new SilentiumPC Fortis 3 HE1425 v2 is described as "a much cheaper version of the award winning Fortis 3 HE1425 Malik Customs Edition," by the company in its press release. The cooler is based upon an asymmetric cooling body forged from 38 aluminium fins and a quintet of heat pipes, actively cooled via a quiet 140mm PWM-fan. Back to SilentiumPC's own comparison, the new Fortis 3 HE1425 v2, while much cheaper than the award winning Fortis 3 HE1425 Malik Customs Edition, offers "the same cooling performance". Looking at the two sets of tech specs the units do seem to be identical in performance and many other aspects but the Malik Customs Edition boasts of customisability and aesthetics via interchangeable top plates (4 included) and some other styling nuances. As we keep harping on about pricing, let's get this out of the way: the new Fortis 3 HE1425 v2 has an MSRP of 37.90 Euro, a good percentage less than the MSRP of 49.99 Euro for the Malik Customs Edition. 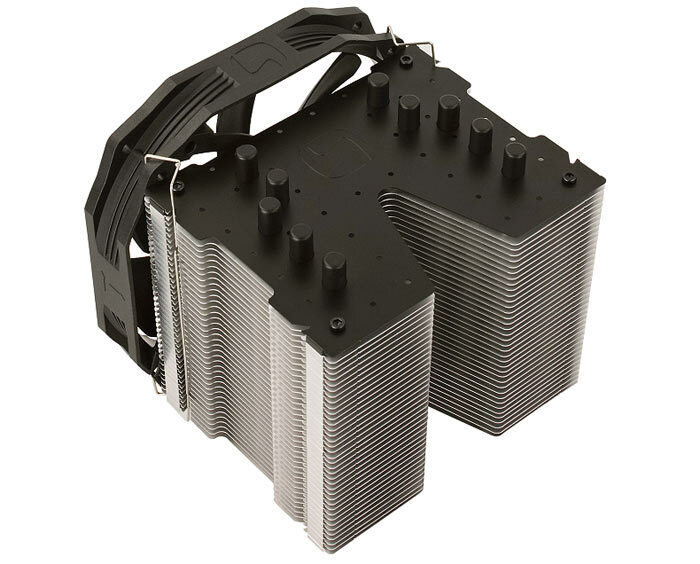 The SilentiumPC Fortis 3 HE1425 v2 CPU cooler is rather large, measuring 125mm(L) x 140mm(W) x 158mm(H) with the attached 140mm fan, and weighs the best part of a kilo (820g). Of course the size and mass help contribute to its cooling ability. Despite its bulk SilentiumPC insists that the cooler design allows for even tall high-end RAM modules. 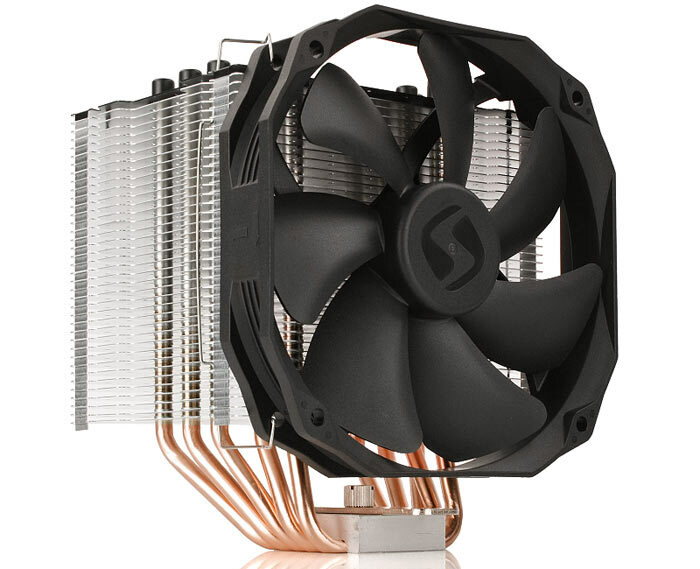 The active cooling component is a SilentiumPC Sigma PRO 140 fan which is PWM controlled and was designed specifically for this CPU air cooling application. It spins from 500 ~ 1400rpm and is said to be "inaudible in normal operation". The heatsink can be fitted with an extra 120mm or 140mm fan with mounting clips included in the box. You can fit the Fortis 3 HE1425 v2 CPU cooler to a wide range of supported AMD and Intel systems, as listed below in the tech specs chart. The V-shaped aluminium fins cut-out that gives the Fortis 3 HE1425 its distinctive shape helps easy access to the rear locking screw when fitting/removing. SilentiumPC is making these new CPU coolers available from 10th September priced at 37.00 EUR / 999.00 CZK / 152.00 PLN / 29.00 GBP inc VAT and 34.90 USD plus sales tax. You will be able to find them online at Amazon. Buyers receive a 2 year warranty. Doesn't look all that different to my Deepcool Lucifer, price isn't bad either. Makes me think of love child of CM Hyper 212 Evo and Be Quiet! Shadow Rock Slim.